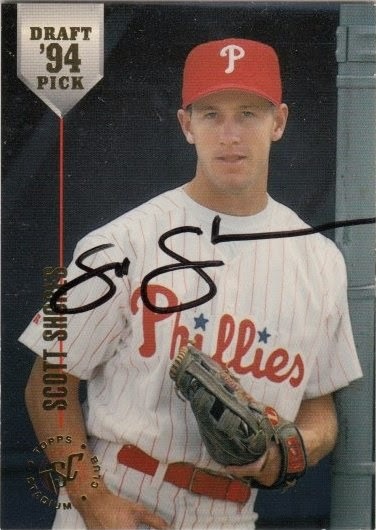 I got to know Scott that year as he spent the season with the Clearwater Phillies of the Florida State League. One day he gave my brother and I a ride home after a game. We invited him inside and I got to show him my entire autograph collection, which at the time was on display on my walls. Unfortunately, this is the only picture that I know of that shows how my collection was displayed. It was neat seeing Scott point out guys that he played against professionally, as well as those he competed against in college. I even got to show him where his own signed card was. 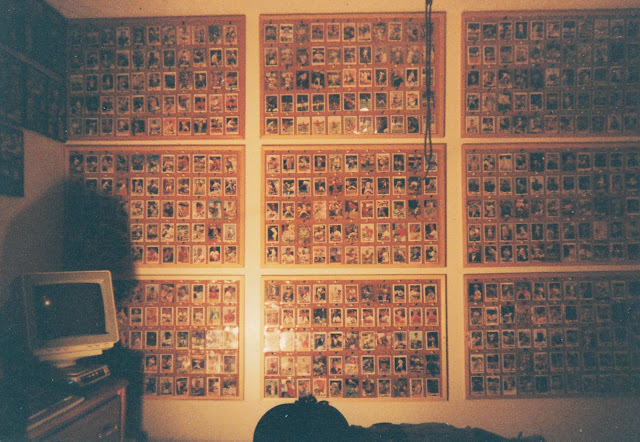 Scott signed a 1994 Topps Stadium Club Draft Picks card #61.